It’s no secret chicken soup is good for the soul. The nourishing broth, nutrient-dense veggies, and hearty noodles always do a body good, particularly at this time of year when cold and flu season is ramping up. So in honor of National Chicken Soup for the Soul Day, we’re putting a fun twist on the expressive holiday and rounding up five kinds of chicken soup from around the world, upping the ante on canned Campbell’s — you can even find these soulful soups right here in the States. 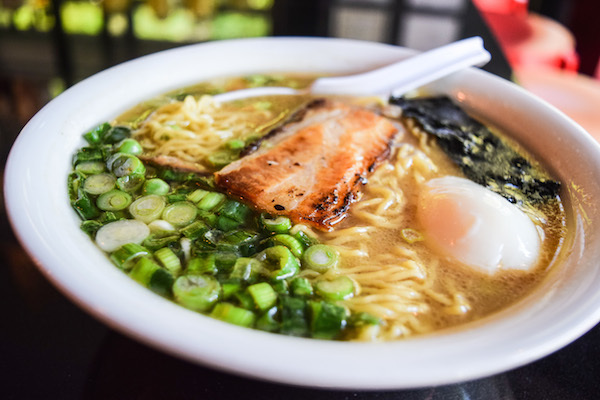 When most people think of ramen, their minds drift toward the cheap packets they ate during their college dorm days — or, if they’ve experienced authentic Japanese ramen, then likely to steaming bowls of noodle soup spiked with tender pork. But there’s also a version that relies on chicken stock—it’s called shio and shoyu ramen. And one of the best spots to try this curative soup is in Decatur, Georgia, at Makan, where the miso-based broth is simmered overnight for maximum depth of flavor. 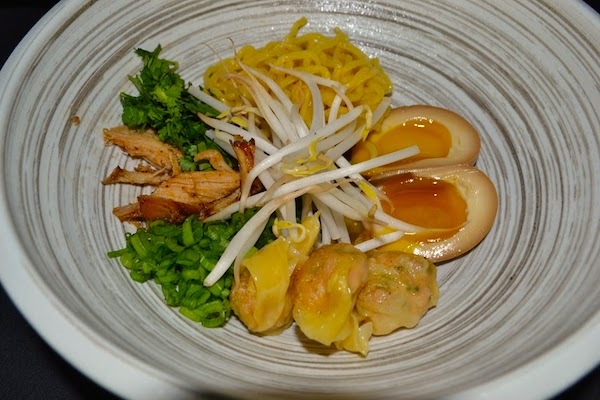 Each bowl is laced with Sun Noodles and topped with a soft poached egg, roasted pork belly, and seasonal vegetables. Though not technically from one specific country, the Jewish culture relies on restorative matzo ball soup around the world particularly on Passover or when a hint of a cold comes on (see penicillin, Jewish). Their version is a light chicken broth peppered with dumplings (they’re made from a mixture of matzah meal, eggs, water and fat) and often veggies, such as onions, carrots, and celery. 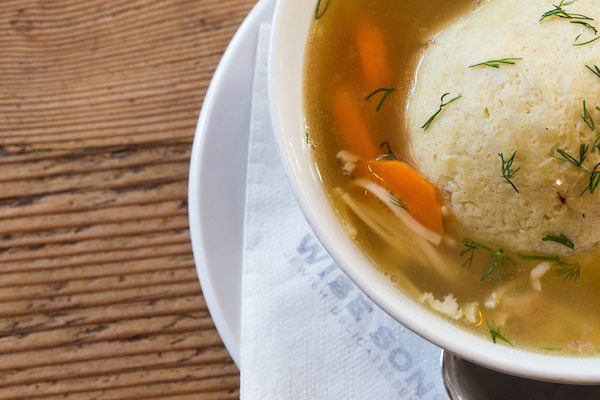 In San Francisco, Wise Sons Jewish Delicatessen simmers their broth for 12 hours with thyme, browned onions, vegetables, and chicken bones, adding schmaltz’d up matzo balls at service. In Northern Thailand, street vendors throughout the region dish out a Burmese-influenced chicken soup called Khao Soi around every corner. The coconut curry-esque base (it’s similar in flavor to yellow or massaman curry) is brimming with fresh chicken, boiled egg noodles, pickled veggies, and shallots, and it is finished with crispy fried egg noodles, lime juice, and ground chiles. 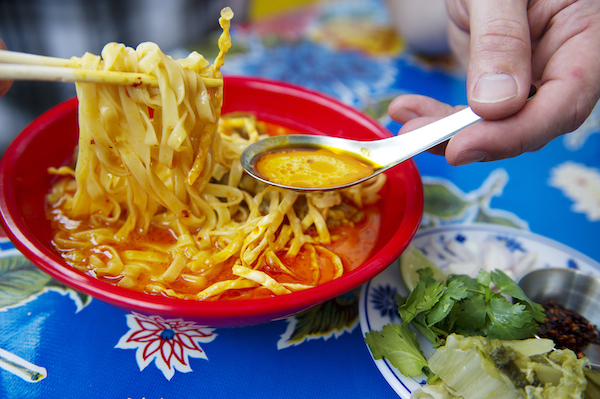 Head to Pok Pok in Brooklyn, New York, where James Beard Award winner Andy Ricker serves an authentic Khao Soi made with a from-scratch curry paste and house-pressed fresh coconut milk, alongside chicken, house-pickled mustard greens, and roasted chili paste. 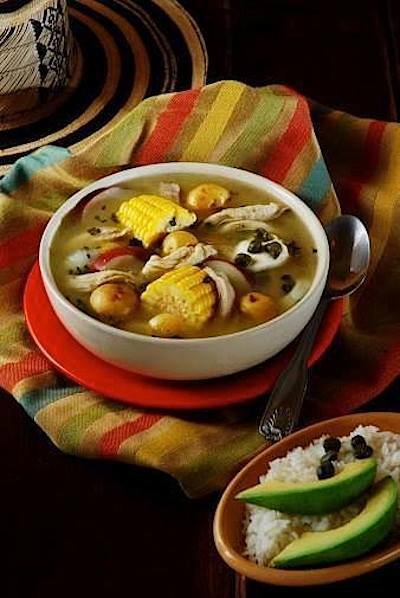 Down in the mountains of Bogotá, Colombia, velvety chicken soup is a mainstay called Ajiaco — chock full of chicken, corn, and three varieties of potatoes (the mix varies by region), this luxurious soup is often garnished with avocado slices, tangy capers, a dollop of rich sour cream, and an aromatic herb called guascas, similar to bay leaves, and parsley. Head to Chicago’s famed Las Tablas Colombian Steak House where the Ajiaco is made with a trio of Andean potatoes, shredded chicken, and true guasca. In China, many soups are made with chicken broth, including wonton soup, which varies widely by region. In greater Shanghai, it’s often made with meat-and-bok-choy-filled wontons (dumplings), whereas in Cantonese cuisine, shrimp-stuffed wontons fill a soup made from boiled shrimp shells, pork bones, and dried flounder. Here in the States, chef Scott Drewno puts a modern stamp on his wonton soup at The Source in Washington, D.C., where he uses a whole chicken to make the stock, which is then combined with pork stock and beef stock accented with aromatic ginger, garlic, scallions, and chili pepper paste. His wontons (which are filled with pork and shrimp) commingle with noodles in the soup, which is topped tableside with a tea-soy-poached egg, cilantro, and pickled chiles. Which version will you be celebrating National Chicken Soup for the Soul Day with? Share your souper choice here or over on Facebook, G+, Instagram, Pinterest, or Twitter. Photo credits: Wise Sons: Jason Dixson Photography (Wise Sons) and Evan Sung (Pok Pok).